It wasn't until I met +Curvy Kate 's Hannah who actually took the time to fit me at the Oxford Street branch of +Evans Clothing recently that I realised that I had been wearing the wrong bra size for years. I have been measured many times by Debenhams & M&S; my last fitting had me at a 40E but I have previously been told I should be both a 44D & a 42DD. No bra ever fitted correctly and I wrongly assumed that this was something to do with my shape & size or perhaps that I was simply to big and bras weren't made for people like me! How naive I have been! Now I must admit that with my recent weight loss, dropping a back size is totally plausible but Hannah measured me up as a 38GG and gave me a recommendation of two Curvy Kate bra's that not only were absolutely gorgeous, had the best fit I have experienced ever! She even suggested that if I continue to lose more weight that I drop another back size but perhaps increase a cup; so try a 36H. As soon as payday rolls around, I will be heading down to the nearest stockist to revamp my whole underwear selection! Although I wasn't successful, I broke down a major confidence barrier and bared all (well in lingerie) in a submission for their #StarInABra competition. I knew I didn't have a chance, but for me to even consider submitting an entry was a big milestone for me! 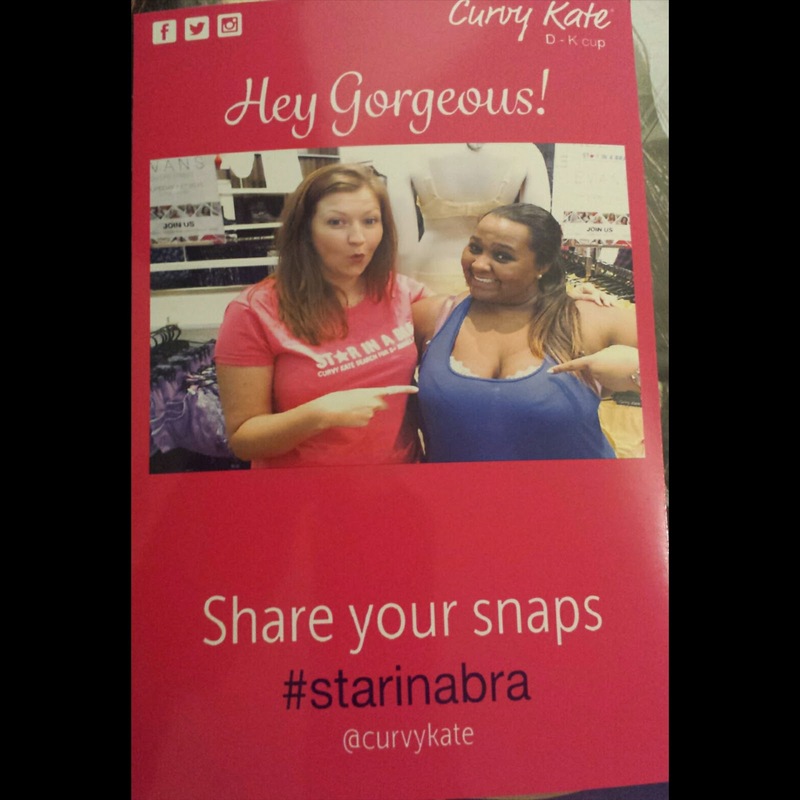 Did any of you get fitted by the Curvy Kate ladies or did you enter #StarInABra? ?